Valencia has long been the City of ‘Gin Tonics’! But now the trend for aperitifs has grown and Vermut is making its way back. The bitter sweet drink is on the rise and on the shelves of many bars in Valencia again. Historically, there used to be a Vermut made in many village bodegas around the Valencian Community, it was as traditional and as common as Mistela or Rancio and today there are still some small bodegas making it. Well, strictly speaking it is a drink made with a wine base (either red or white) which is placed in a barrel or stainless steel tank into which the dry ingredients, bark, roots, herbs, spices, fruit peel and other ‘botanicals’ are added. Later, neat alcohol will be added to both increase the body of the drink and to stop fermentation occurring. There are many varied botanicals but the one which must be included is ‘wormwood’ or ‘ajenjo’ in Valencian. Others (there may well be over 20) are cloves, cinnamon, quinine, citrus peel, cardamom, marjoram, chamomile, coriander, juniper, hyssop, and ginger. The drink may have sugar added and in France, for example, where white wine is used as the base, caramel will be added to give a ‘red’ vermouth. In Valencia, the traditional bases are Moscatel or Macabeo for white Vermut or Monastrell, Garnacha etc…for reds. It is a choice for the maker! Setting aside the traditional village cooperatives where it is still possible occasionally to find a vermut, it has been a product associated with specialist bodegas. Probably the most popular are the ‘Vittore’ white and red Vermuts from Valsangiacomo, both widely available in Supermarkets. But others have been quietly making it for some time and are now receiving recognition for the quality of their product. In Alicante province, Primitivo Quiles (Monovar) even export their Vermut to the USA. The coops of Xaló and Teulada both produce quality Vermuts. In Valencia, Toni Arraez in Font de la Figuera produces ‘Psicolabis’. Alejandro Sanz’s 4 Xavos is made in Aielo de Malferit. Belda in Fontanares and Cent Piques from Moixent are examples of Artisan vermuts. Baronia de Turis have just introduced their new Vermut ‘A la Hora’, Valsangiacomo have recently added a reserve Vermut with a family recipe dating to 1904, which is equally good as a ‘digestif’ to take after a meal. And a new Vermut is shortly to be released from a bodega in Castellon, Mas de Rander. Where can I buy or drink it? Most bars and restaurants have a Vermut on their list. 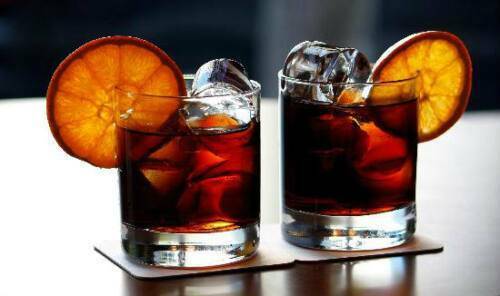 Of course, Vermut is also used in several cocktails so they are widely available in night clubs and discos as well. But there are also bars which specialize in traditional drinks. 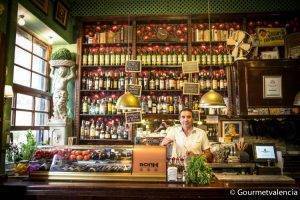 So try El Vermut, near the Economics dept of the University, Bocatin in El Carmen or Bar and Kitchen in the Mercado de La Tapineria and of course Casa Montaña in the Cabanyal amongst others. What are the characteristics of a good Vermut? What constitutes a good vermut is obviously a matter of taste but there are certain ‘rules’ which help. First of these is that the base wine should be well made but fairly neutral, that is to say that the wine should not overpower the botanicals. The second is that the ingredients should be of the highest quality and perhaps to the point should be natural products, not commercial flavourings, essences or other chemical substitutes! The alcohol used as described above should come from wine, i.e. be distilled from grapes. Industrial alcohol should not be used. Nor should the alcohol by volume take the Vermut above 15-17% ABV. This alcohol adds to the body of the Vermut and too much alcohol is …well, too much alcohol! On the nose the botanicals should emerge slowly as the wine warms up and evolves in the glass. Not all the botanicals will show themselves straight away, one of the pleasures of drinking vermut is the emergence of different aromas over a period of time! Vermut finally should be drunk over ice, with a slice of fresh orange or lemon and be accompanied by traditional ‘picks’. In Valencia these are considered to be olives, jamón, albondigas de bacalao, snails and almonds amongst many others! 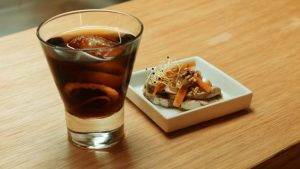 So next time you are out and about give Valencian vermut a try, you will be pleasantly surprised! This article was prepared by Riki Wigley and Marian Darás whose VÍ vid project promotes Valencian wine and Gastronomy. VÍvidBlog vvidblog.wordpress.com reports regularly on bodega visits, launches of new wines etc, and restaurant reviews. This week has seen the publication of two blogs covering the wines of Bocopa, a bodega based in Petrer ( Alicante) but whose wines are available throughout Valencia and a restaurant review for La Plaza in Torrente. VÍ vid are also in Facebook…..have a look at our activities there for more information on Valencian Wine and Food!